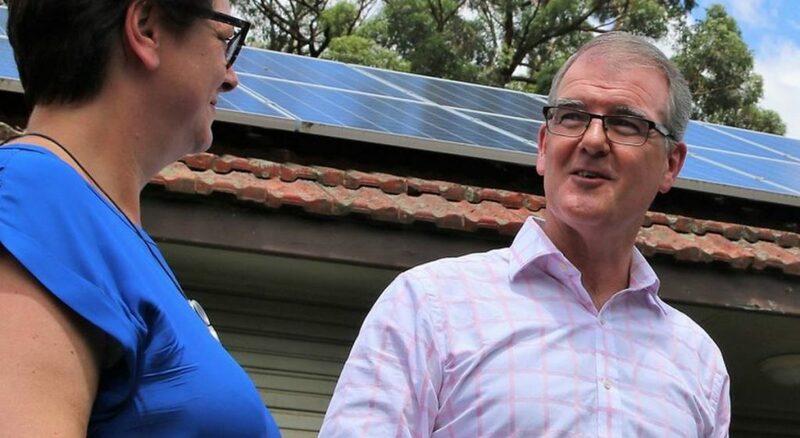 NSW Labor likely had the Liberals in a flap on the weekend with the announcement of a generous solar rebate should it win the upcoming state election. Under Labor’s Solar Homes policy, owner-occupied households with a combined income of $180,000 or less would be eligible for a rebate of up to $2,200 on the installation of a solar power system. 500,000 solar panel rebates would be offered over a period of ten years, with an aim of bringing the state to over a million solar homes 1. Approximately 17.8% of dwellings in NSW had solar systems installed as at late October last year according to the Australian Photovoltaic Institute; putting New South Wales well behind Queensland, South Australia and Western Australia in this regard. The policy was announced by NSW Labor leader Michael Daley. NSW Labor says its policy would add an extra 2 GW/2000 MW of PV capacity once it has run its course. That would be based on systems averaging 4kW, but the average system size is larger these days2 so the policy could result in significantly more nameplate capacity in place. 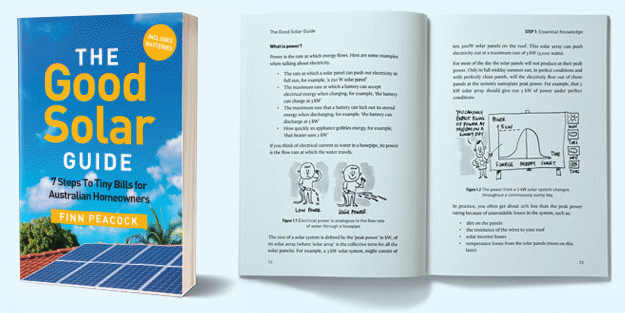 It’s not clear yet as to what sized system would need to be installed to attract the full $2,200 and assumed is the NSW-specific rebate would be in addition to Australia’s existing major solar subsidy, which can knock thousands off the cost of going solar. If the $2,200 is available for a 4kW system, the Solar Homes policy would bring down the cost of a good quality, well-installed system to somewhere between $1,800 and $3,800 based on current pricing and national subsidy levels. Depending on various factors, a 4kW system can generate electricity equivalent to average NSW household consumption. However, some of that energy may not be consumed by the home, but exported to the grid – and NSW feed in tariffs are well under the cost of mains grid supplied electricity. Even with just the currently available national subsidy, home solar power is a good investment in New South Wales and with the Solar Homes cash thrown in would make it an even better one. If Mr. Daley is NSW’s Premier after the state election on March 23, the Solar Homes program would commence in the 2019-2020 financial year. There’s not much other detail at the moment, aside from a mention Solar Homes would ensure systems were installed by accredited solar installers, using approved products. Smart Energy Council CEO John Grimes welcomed the news. The Smart Energy Council called on the Berejiklian Liberal Government to match the commitment. The Berejiklian Government responded on Sunday with the announcement of an interest-free loan program for batteries or solar + storage – more on that here. No doubt NSW Labor was looking across the border when creating this policy. Victoria’s solar rebate offers a similar level of support, is similarly named and is also targeting hundreds of thousands of installations. It’s been a huge success so far; with many good solar installers in the state run off their feet.